I picked up a small bag of Strawberry Lemonade when I was at a local DavidsTea location. This fruit infusion smelled amazing in store when I smelled the dry leaf. Essentially, Strawberry Lemonade smells like its name. There’s strawberries and there’s a bright citrus aroma that makes me think of lemons. Now, there’s also a lot of other ingredients, and I find that just makes it smell fruity for the most part. It’s very bright and fresh smelling, and it makes me think of warmer weather. Strawberry Lemonade consists of apple, hibiscus blossoms, blackberry leaves, candied papaya, lemongrass, beetroot, strawberries, marigold blossoms and natural flavouring. I’m not sure what natural flavouring was needed, considering the ingredients already listed. I imagine that it might be some strawberry flavouring to just give it a bit of a flavour boost. 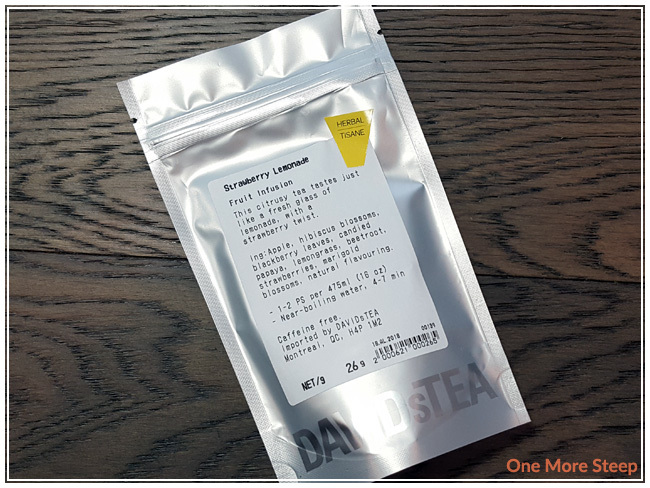 DavidsTea recommends steeping Strawberry Lemonade in “near-boiling” water for 4 to 7 minutes. My initial steep of Strawberry Lemonade was in 93°C (200°F) water for 6 minutes. Strawberry Lemonade steeps to a very pretty pink – a millennial pink, if you will. It smells remarkably like strawberry and lemons, and the really nice thing is that Strawberry Lemonade also tastes like its name suggests as well. 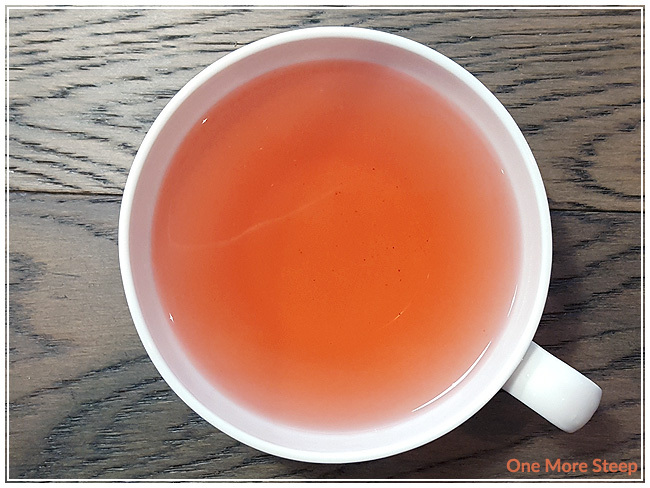 There’s a significant amount of tart and sour from the fruity tisane, but there’s also the added sweetness from the strawberry and sweeter fruits, such as the apple and candied papaya. It’s nice that they managed to match the flavour pretty well with the name that they opted to give it. I did attempt to resteep Strawberry Lemonade with little success. The colour just wasn’t there, I think the beetroot and hibiscus was just tapped out of colour. The flavour was rather watery compared to the initial steep, and I found the diluted flavour to just be lackluster compared to what the flavour was. 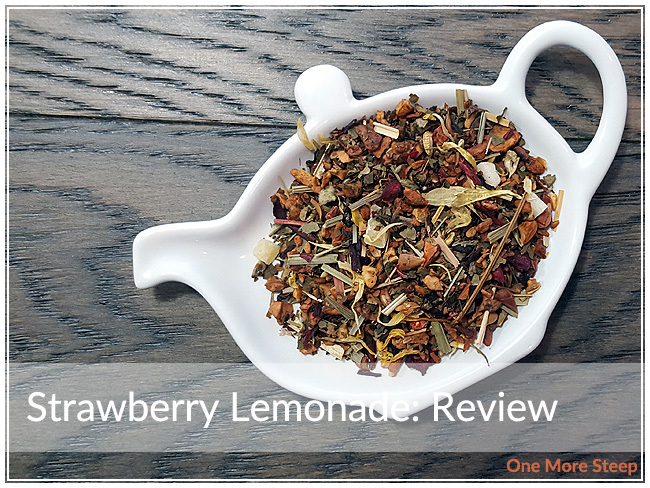 I loved DavidsTea’s Strawberry Lemonade. I really enjoyed the initial steep of this fruit infusion and thought that the flavours (and the name!) was just spot-on. 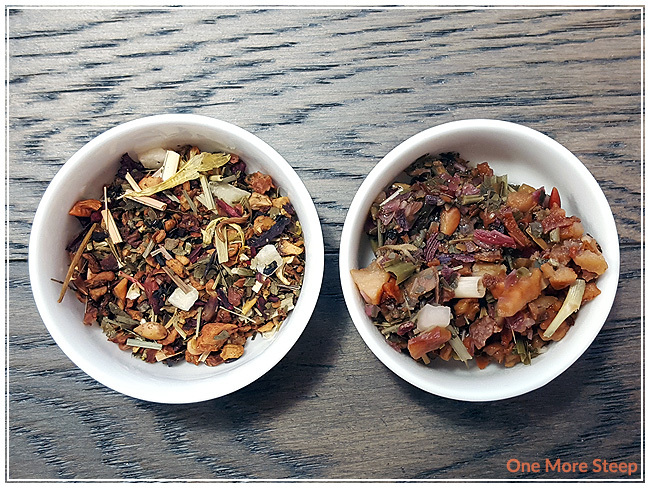 While I wish that this tisane could be resteeped, I was impressed by the flavour that I got from the first steep and found it so enjoyable that I’m overlooking it a little bit. 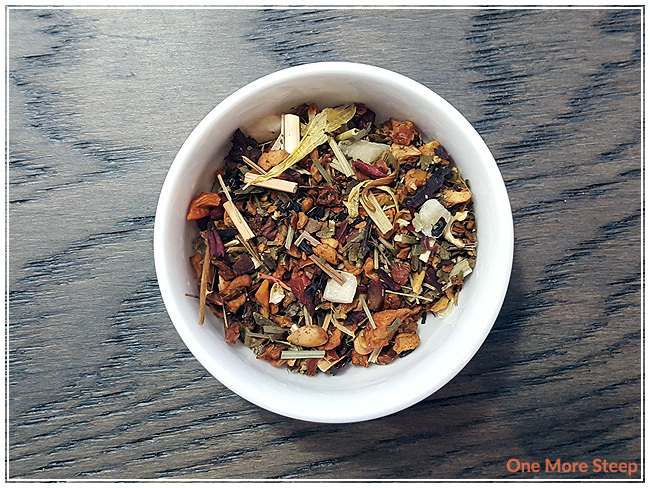 I think if it could be resteeped, it’d be a much better purchase to make since the ingredients are heavy and you don’t get a lot of the tisane in a bag. But the flavours are really good and the colour is perfectly on trend with the summer so I can’t say too many bad things about it.